I've been looking for these for a while now, and after seeing the advert I knew I needed them in my hair kit. Goody Hair Spin Pin's are like the steroid injected kirby grip. 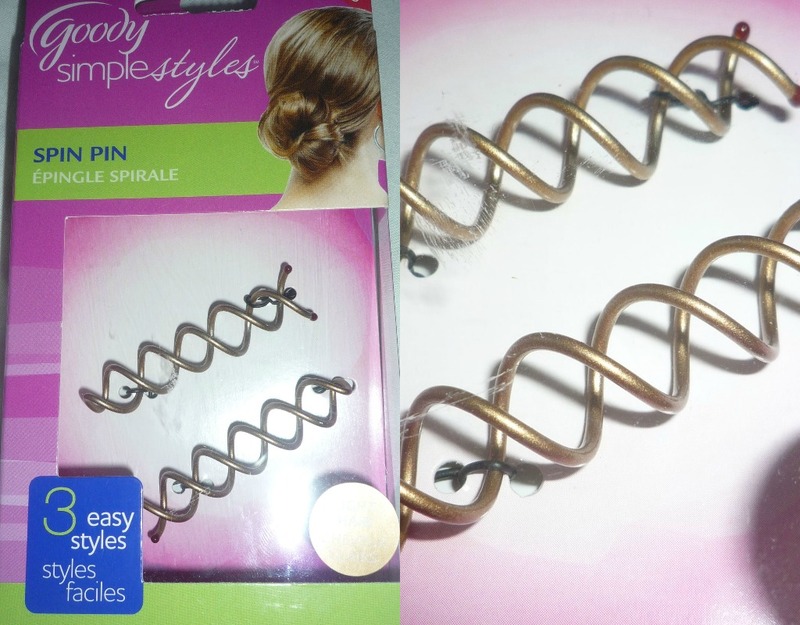 The advert promises to rid your hair of up to 20 grips if replaced with the Spin Pin. And that's the sort of pin I like. The box comes with three styles for you to try out and clear instructions on what to do. They are all great but you can chop and change to create whatever styles you'd like, the pins hold the hair securely. Do you know what Vix, I think they would. I'm that impressed with them. :) They come in Dark aswell. These seem great, I wish I would have had them for my prom! Ooo,wonder if we can get them over here! I'd certainly try them out! I am going to get rid of my blog Just for Girls (I don't know if you know it) and I've created a new one!! I can't say "I am following" because the account is still the same so... I still follow you!! PS: I do follow you, I don't know if I followed you before, but I follow! I saw these on a YouTube tutorial a little while ago, they look really good. I might have to try them if they really work!